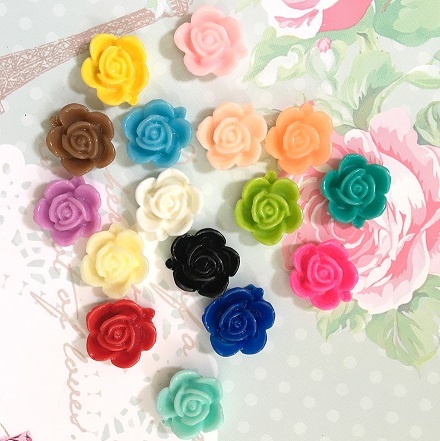 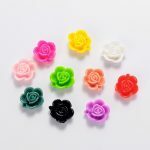 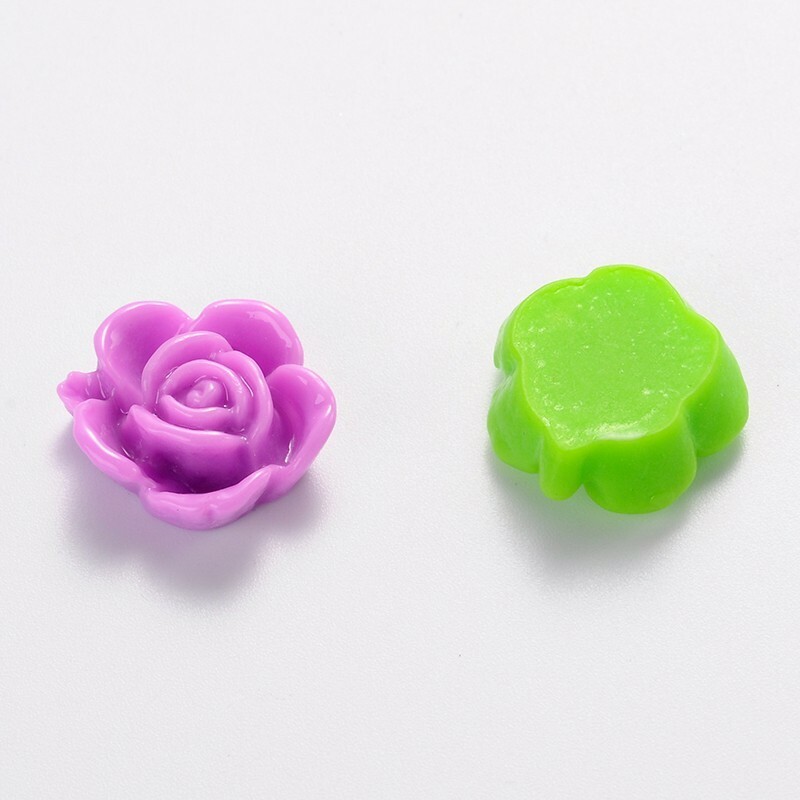 Small acrylic rose cabs with flat back. 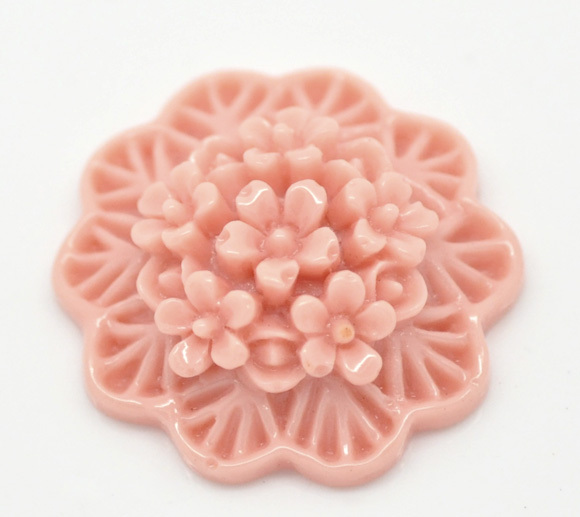 You may use this to embellish a locket or setting using a strong adhesive such as E6000. 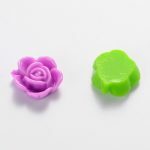 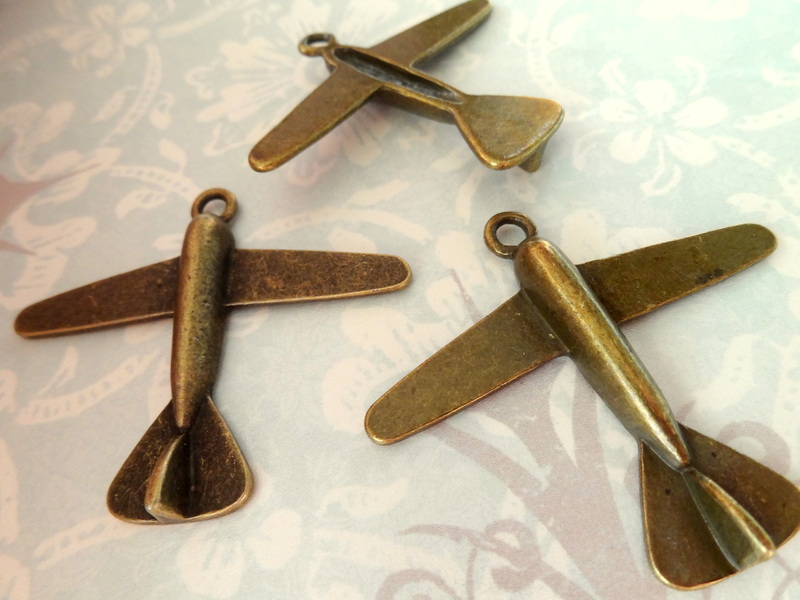 You can also attach it to a cab connector to add in a necklace design. 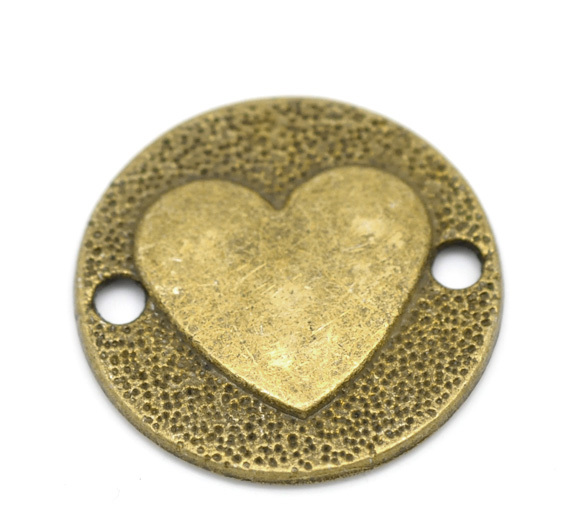 These are also great embellishments to mixed media artwork. 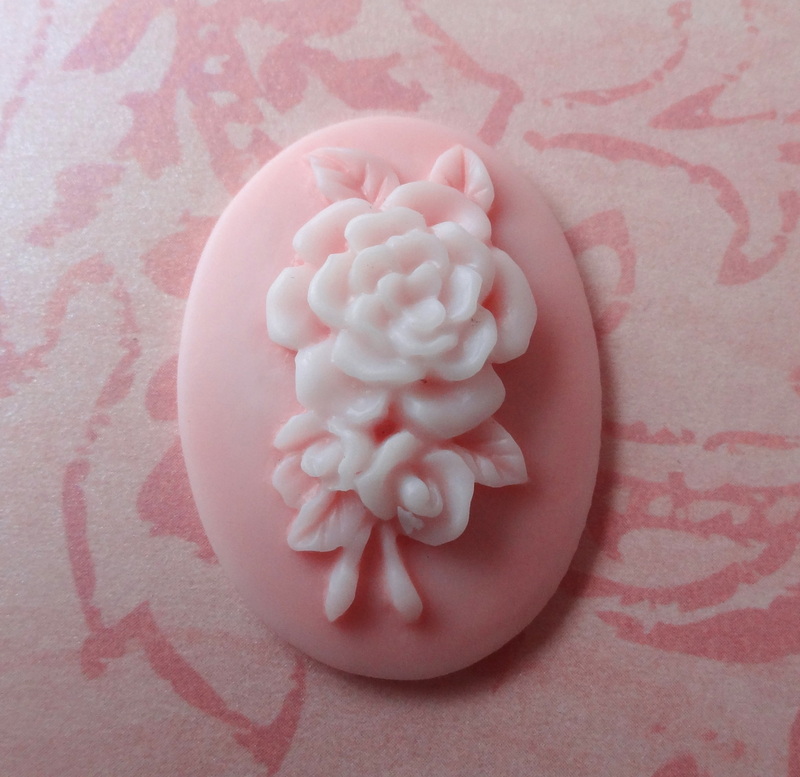 Each rose measures 14 mm in diameter and 6 mm thick.